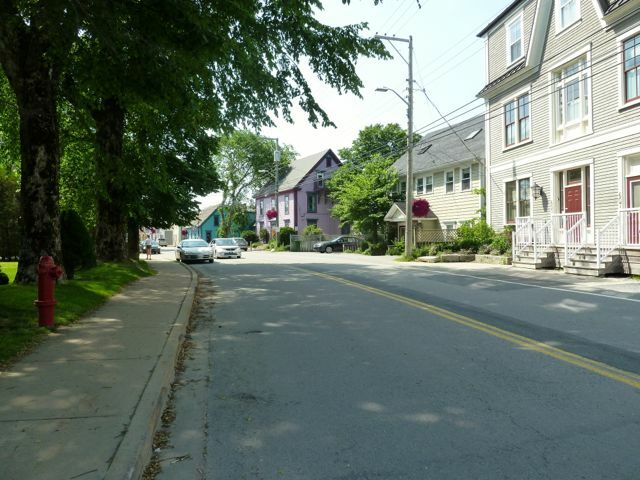 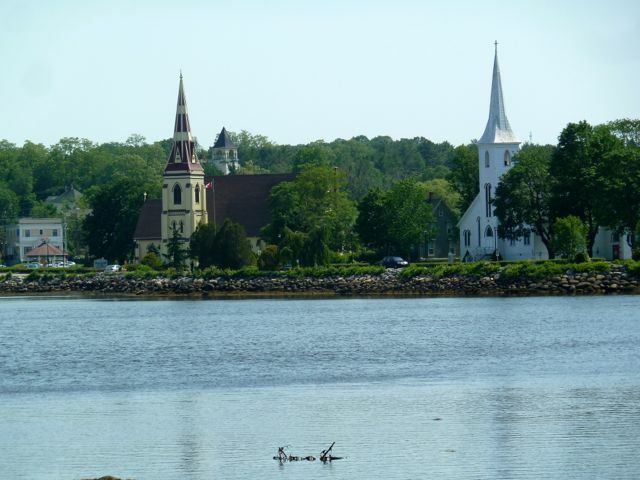 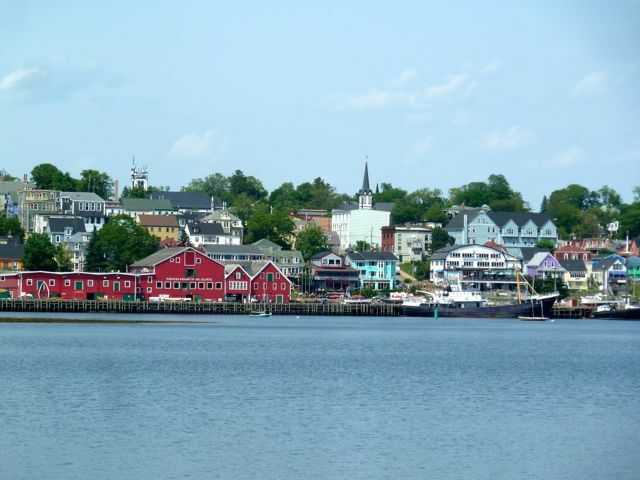 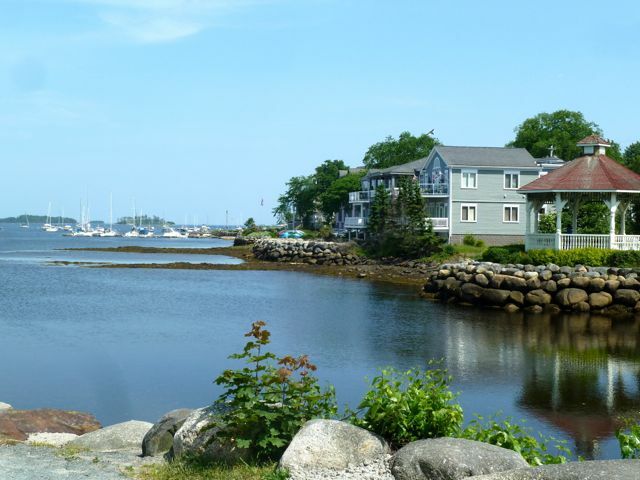 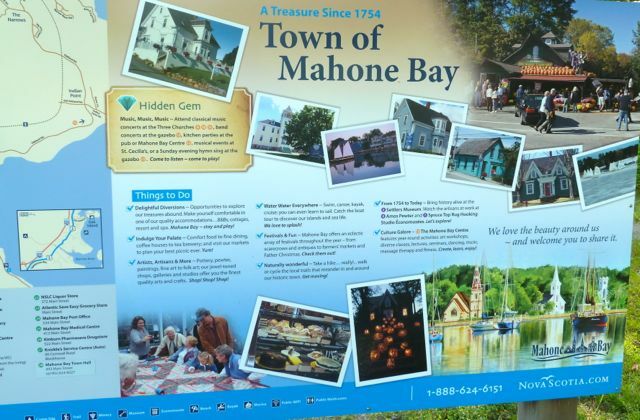 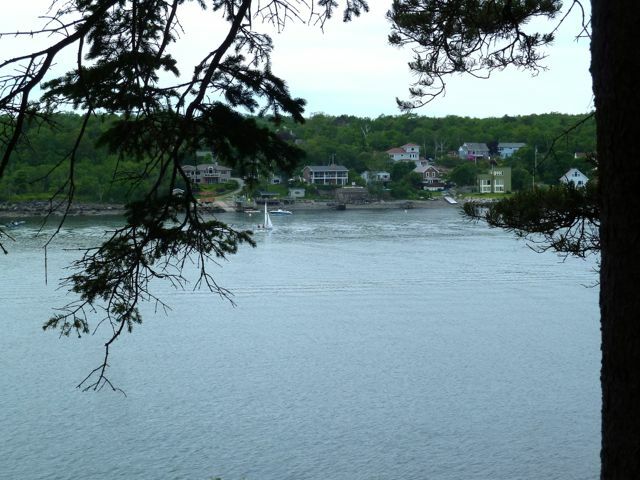 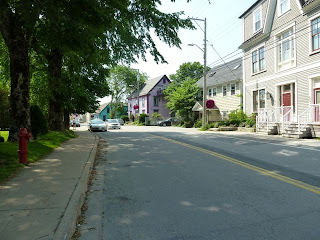 The town of Mahone Bay has been named one of Canada's best small town downtowns and pretty as a picture. It features many art and music festivals during the year as well as many small inns and restaurants. 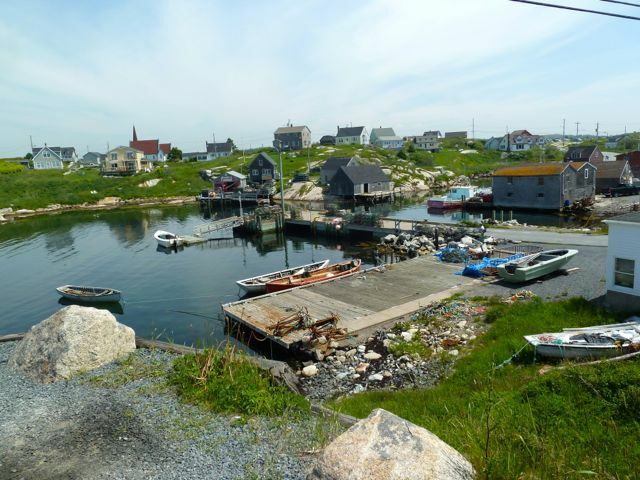 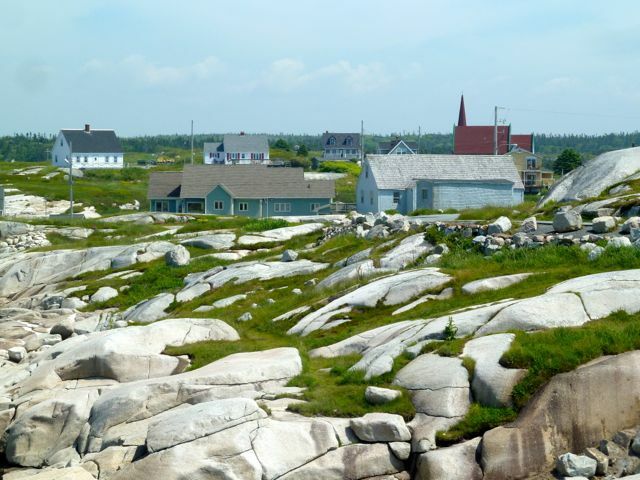 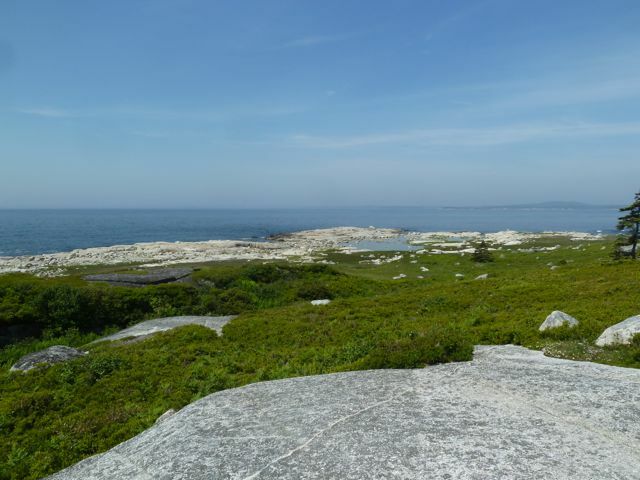 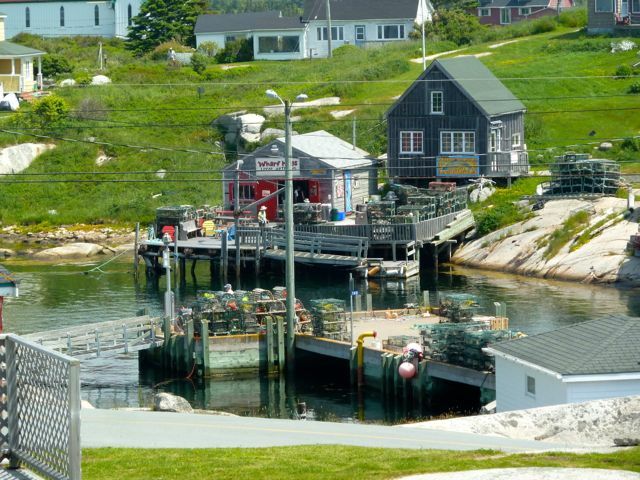 This area along with Peggy's Cove and Lunenburg are part of the Bluenose Coast area stretching 200 miles along Nova Scotia's South Shore. We stopped for ice cream at "Dad's Ice Cream", Mom's Buy & Sell" before going to Lunenburg. 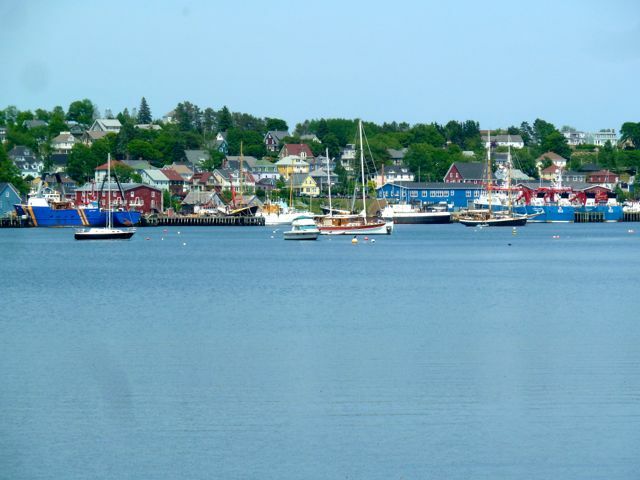 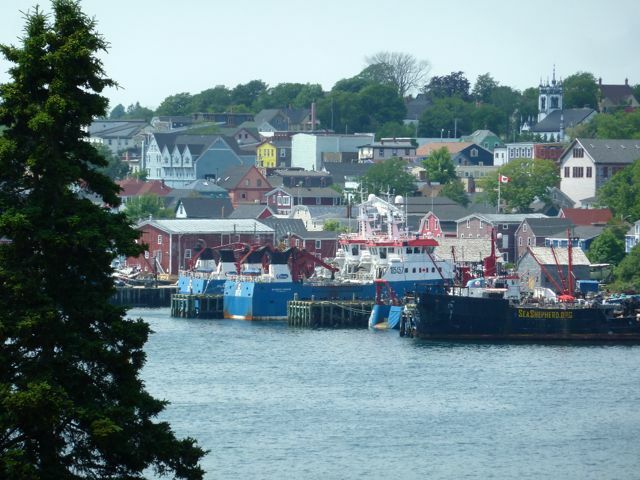 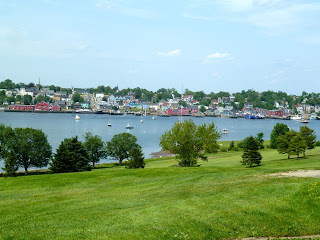 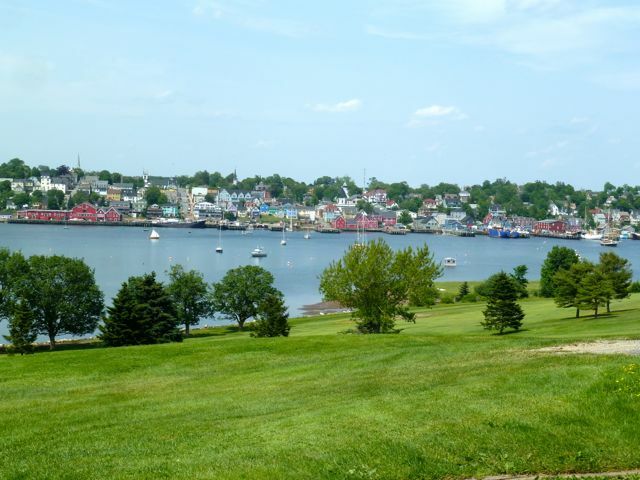 The town of Lunenburg was established in 1753, 4 years after Halifax during Father LeLoutre's War. 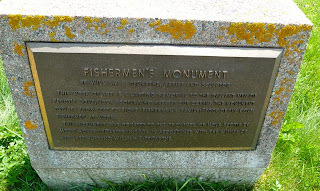 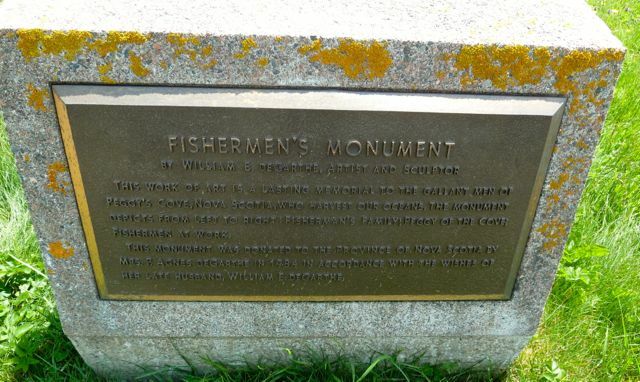 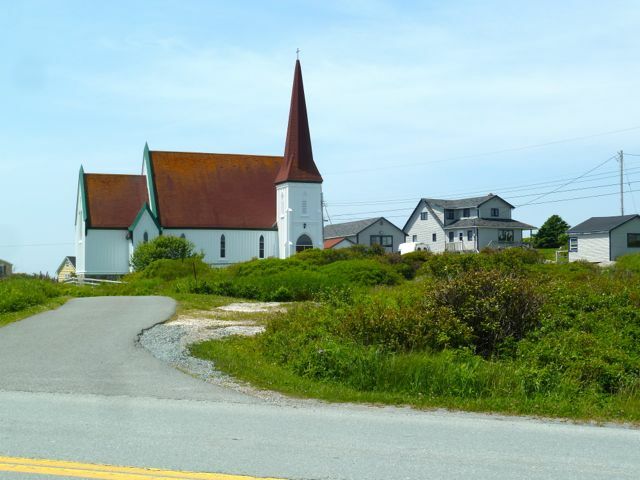 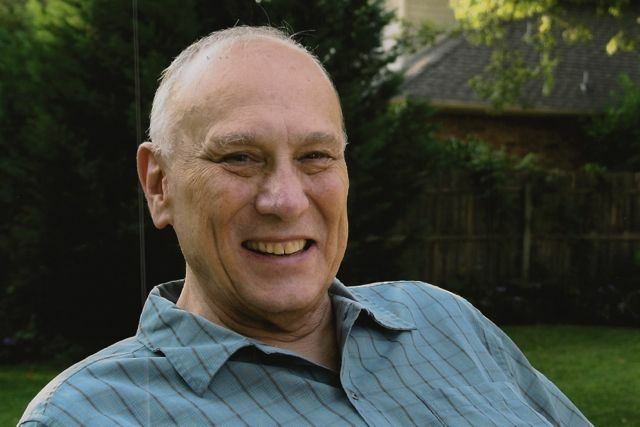 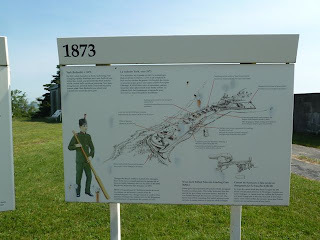 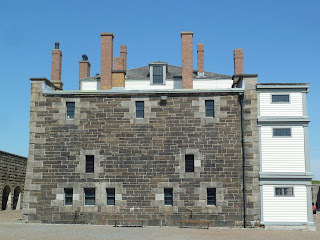 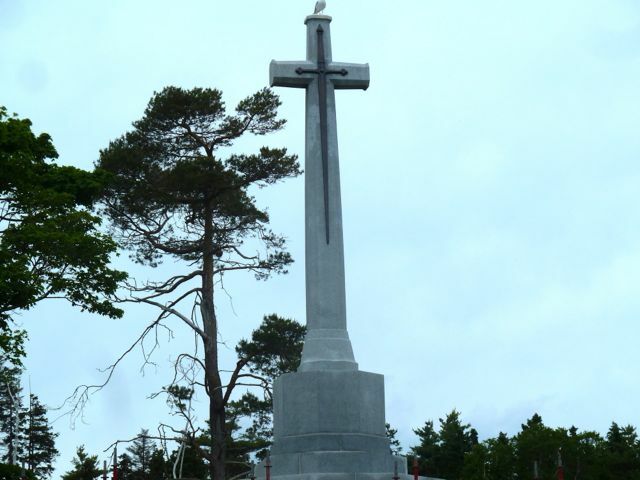 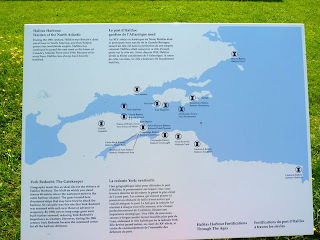 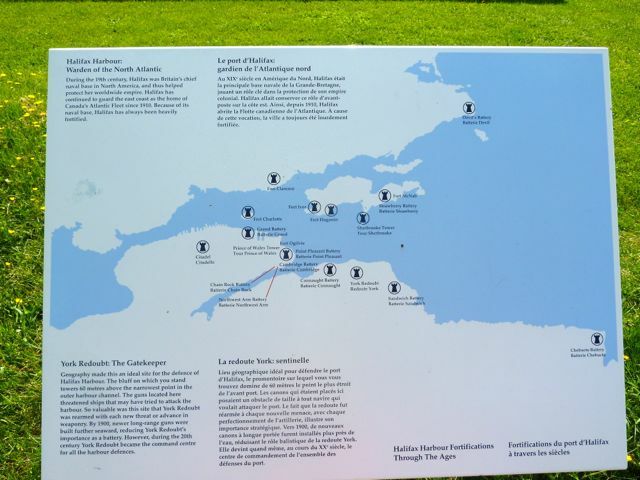 It was one of the first British attempts to settle Protestants in Nova Scotia and as a result,the Catholics raided the community nine times in the early settlement. 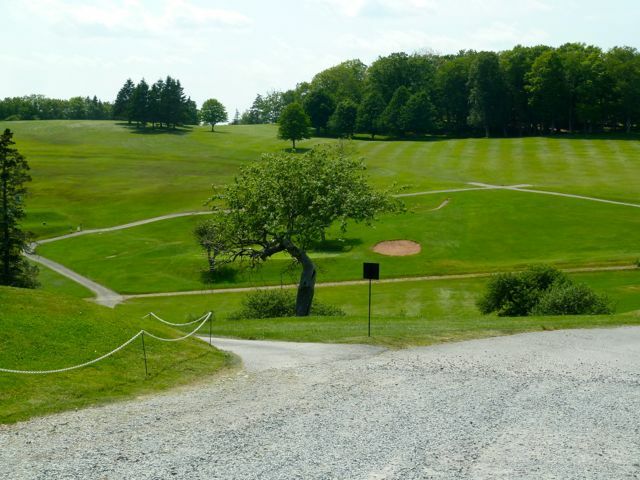 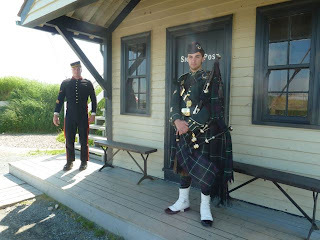 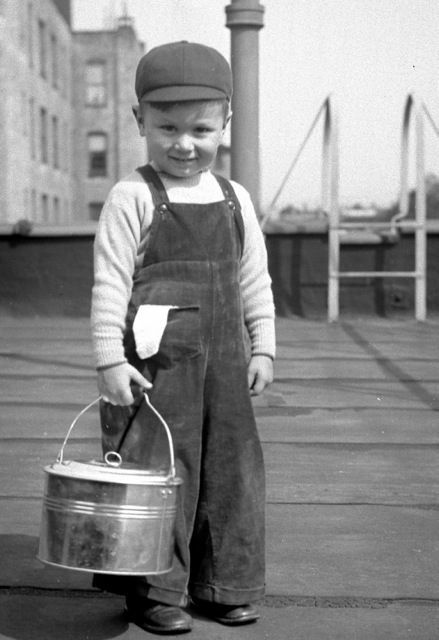 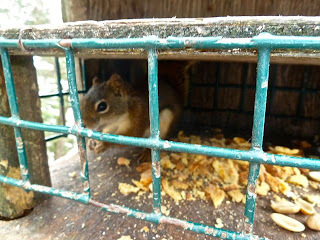 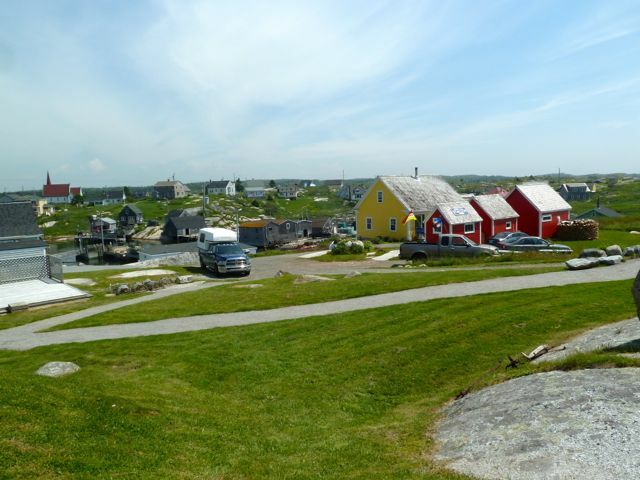 The town was designated a UNESCO site in 1995 as we have noted are many towns in Canada. 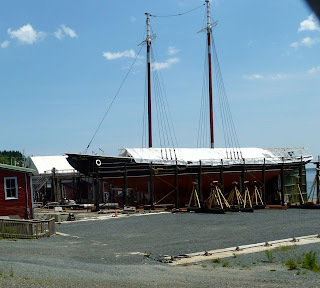 The Bluenose II is located here, which was in dry dock and one of the reason we decided to visit. 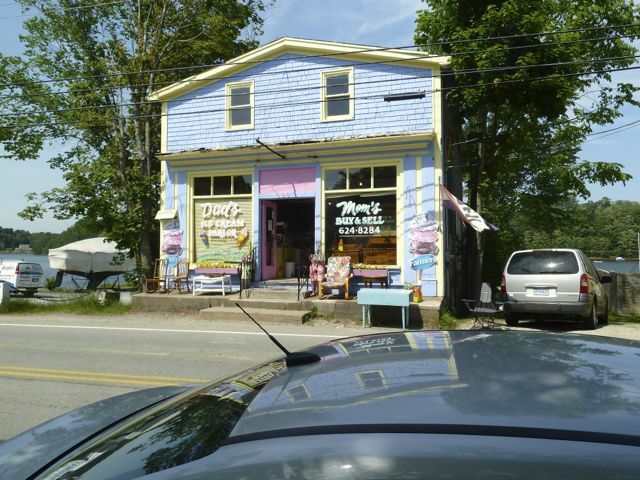 This was a a disappointment. 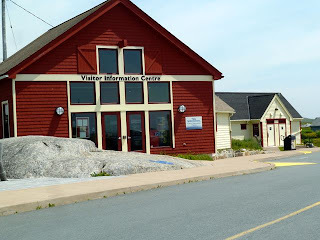 Also here is the Fisheries Museum of the Atlantic. Don, you would like the golfcourse. Seems very challenging with the hills, but the view is fabulous. Tomorrow and rest of week rain is predicted. Still much to do in the area. 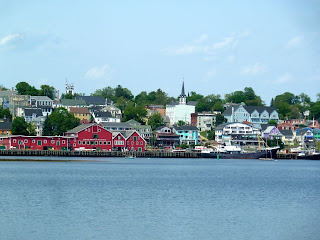 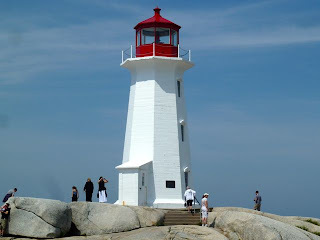 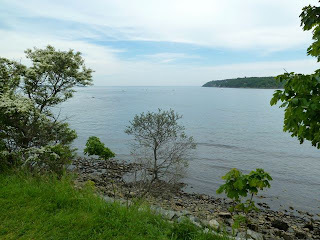 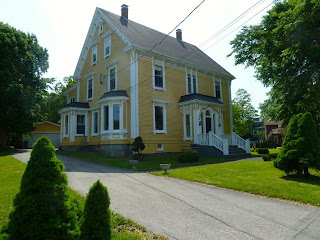 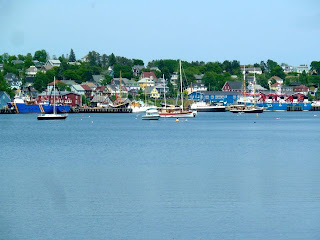 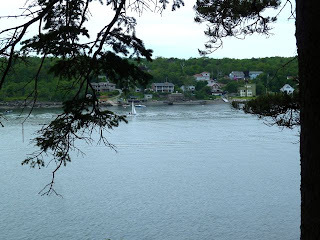 This is a drive well worth the day from Halifax via Hwy 333 turning north from Peggy's Cove to Hwy 103 west and then exit 10 through Mahone Bay and Lunenburg. 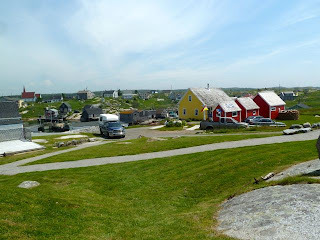 Peggy's Cove sits on St Margaret's Bay and Atlantic. A very quaint fishing village with local artisans and the infamous Peggy's Point Lighthouse. It is supposed to be the most photographed lighthouse in Canada. 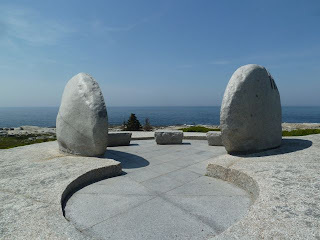 If heading north, be sure and stop at the Swiss Air 111 memorial. 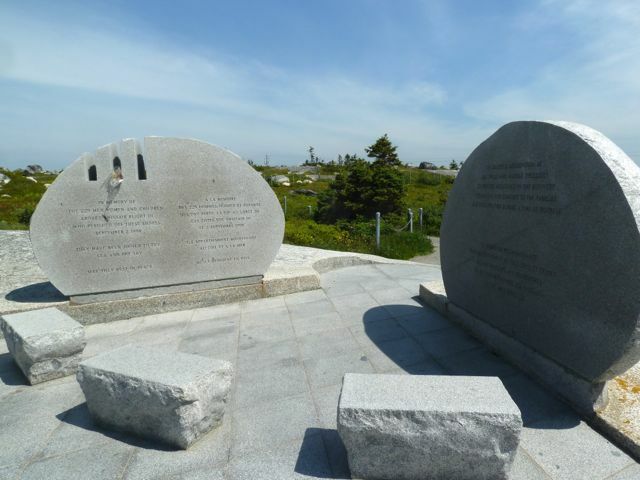 A beautiful granite memorial to the victims overlooking the bay and Atlantic. To recap the tragedy, on September 2. 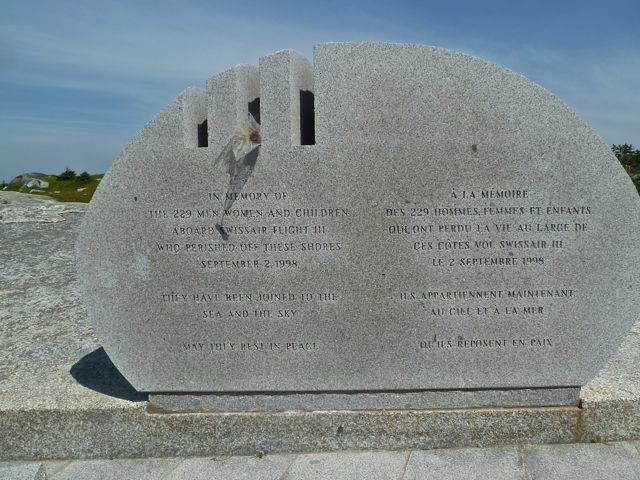 1998 Swiss Air flight 111 departed JFK at 10:18PM enroute to Geneva. 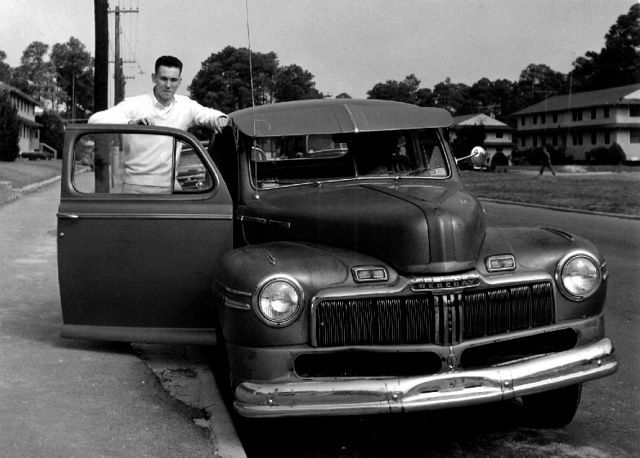 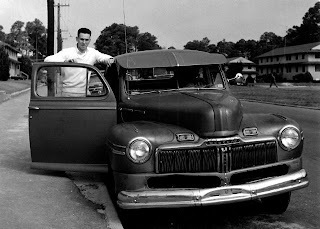 This was also known as the UN shuttle and often carried UN officials and scientists. 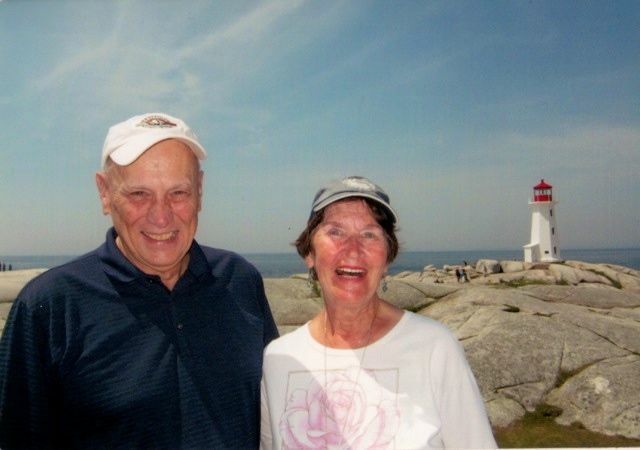 The plane crashed in the Atlantic SW of Halifax at the entrance to Margaret's Bay between the communites of Peggy's Cove and Bayswater. 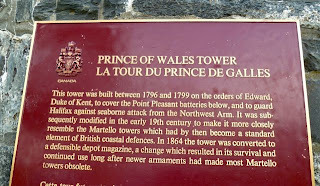 All 229 people were killed. 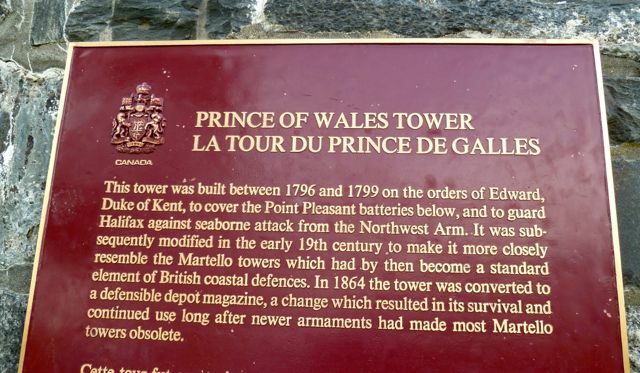 After 4 years it was concluded that it was caused by flammable material used in the structure. 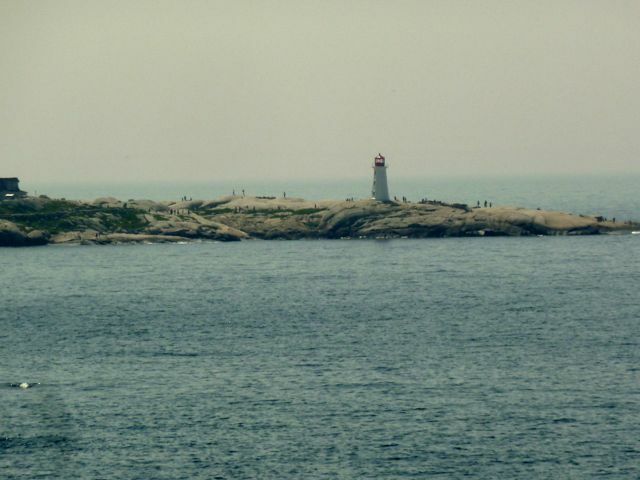 Many of the passengers on board would have flown Air Canada, but the airline was on strike. If you have time enroute to Lunenburg, which we didn't, take exit 6 off 103 and drive the Aspotogan Peninsula to Bayswater. 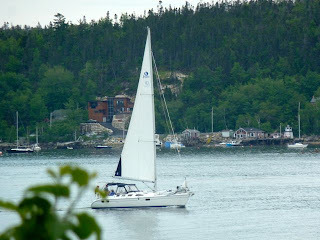 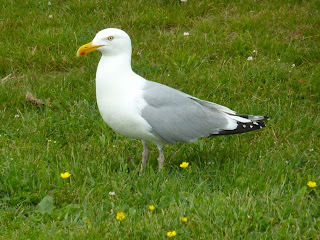 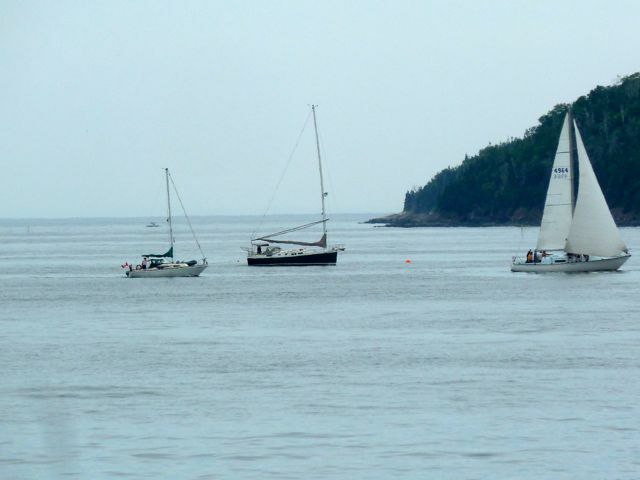 This goes down the east coast of St Margaret's Bay and up the west coast of Mahone Bay. 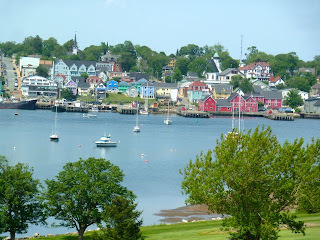 We just have not allowed enough time in Nova Scotia for all we want to see. 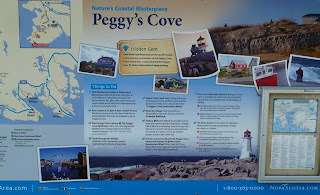 Could spend several weeks each in different areas such as Southern Coast,Eastern Coast, Bay of Fundy and Northcumberland Shore before going to Cape Breton and PEI. 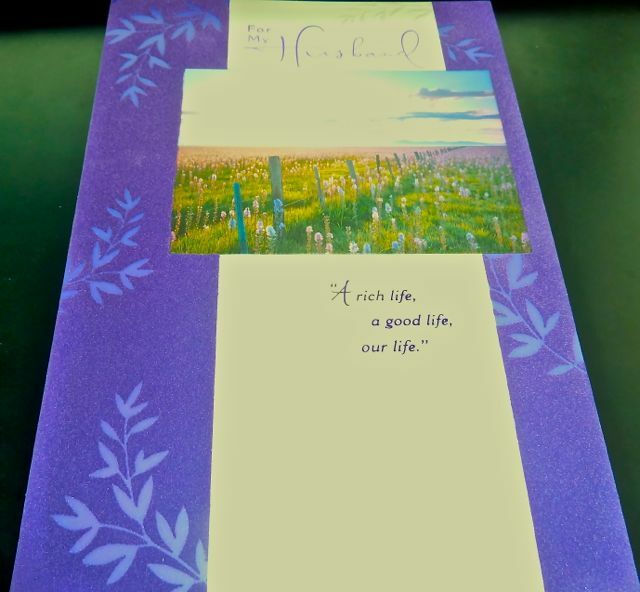 Another trip, another time. 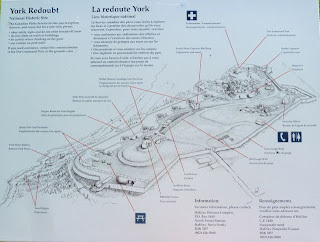 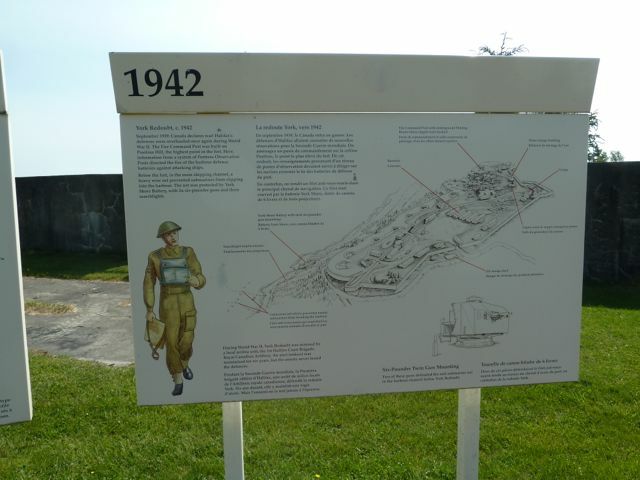 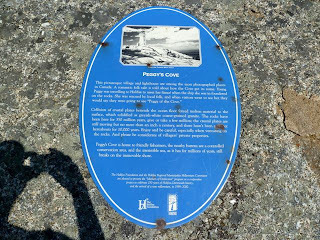 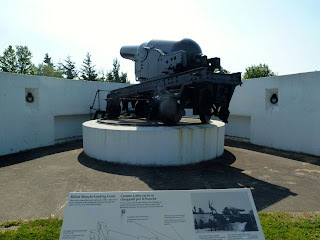 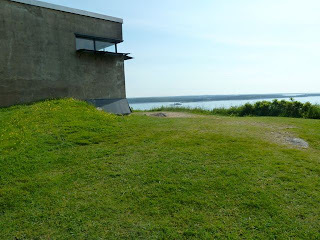 Today we drove over to York Redoubt located on Purcell Cove. 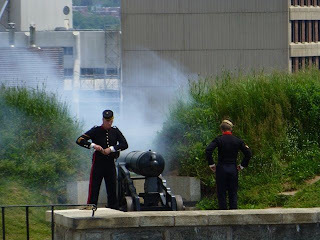 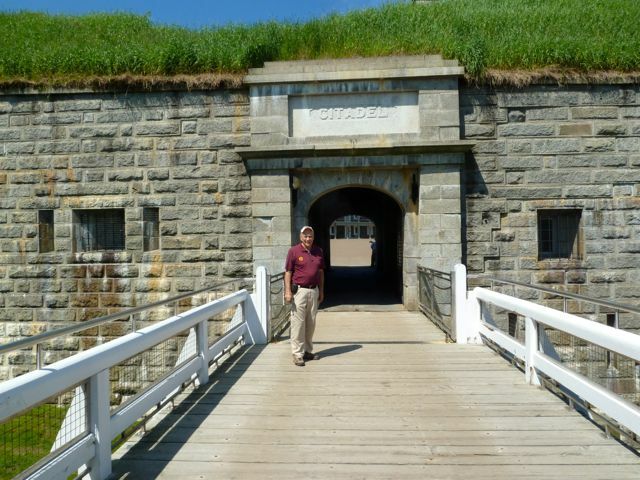 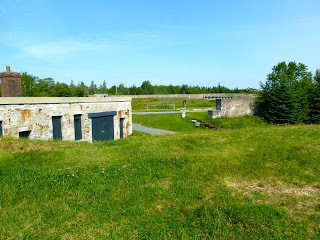 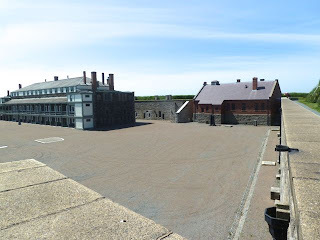 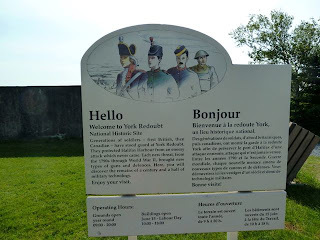 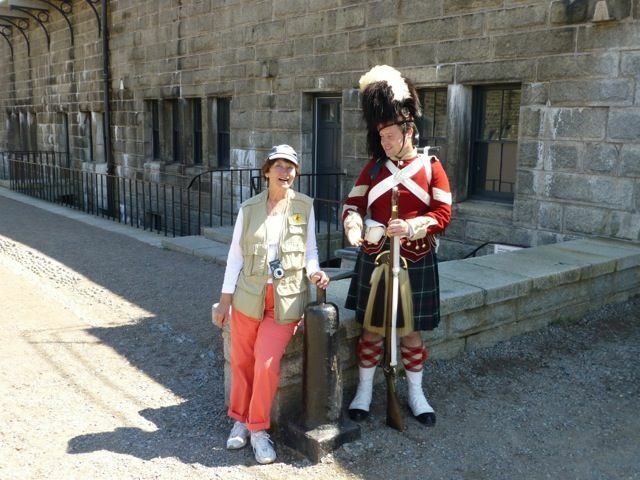 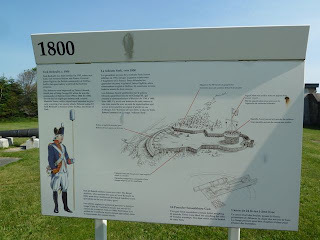 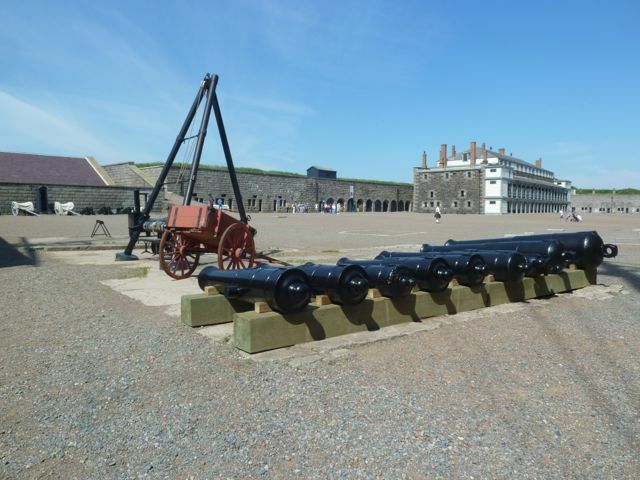 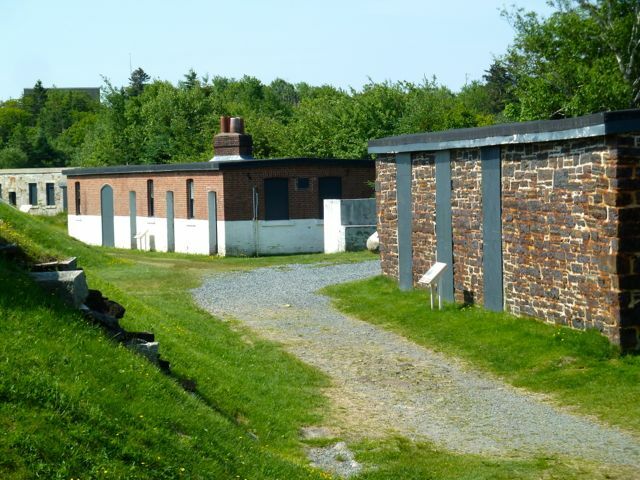 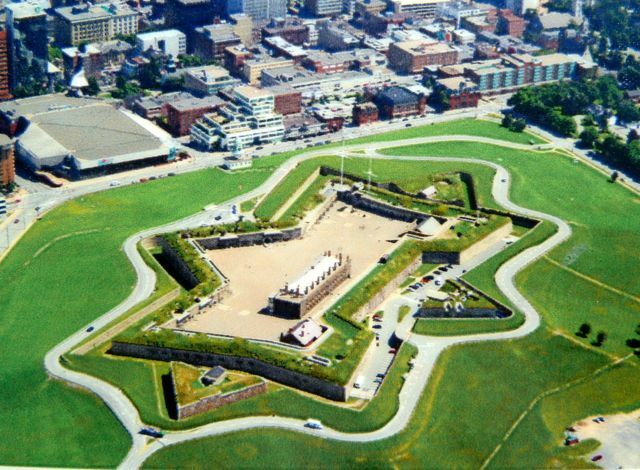 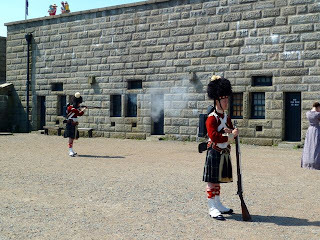 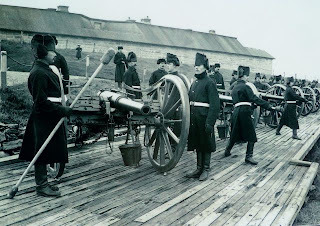 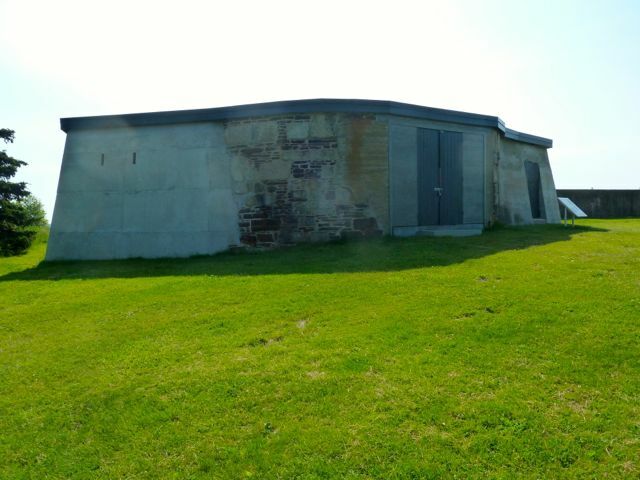 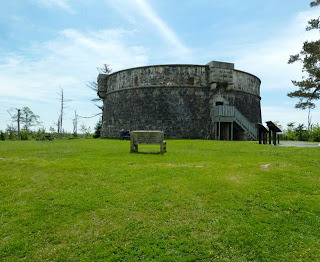 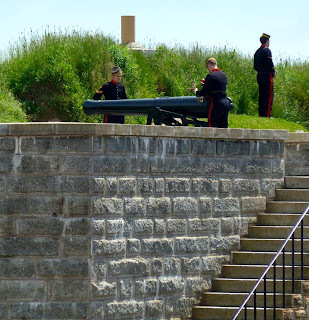 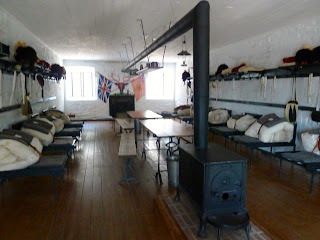 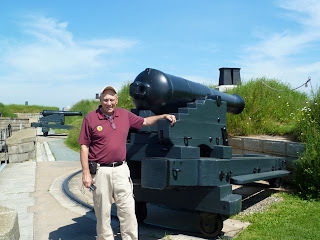 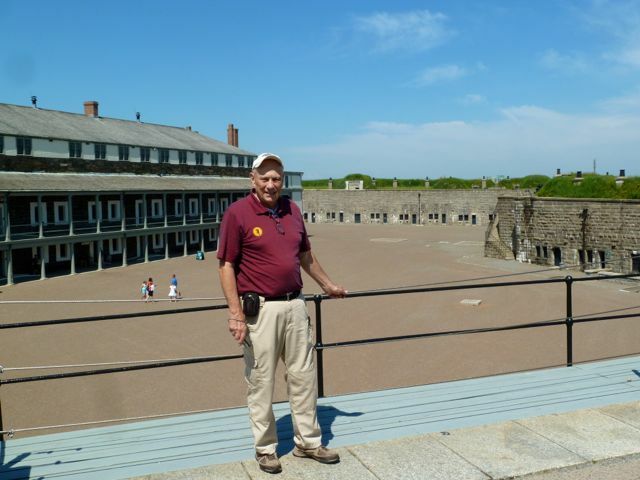 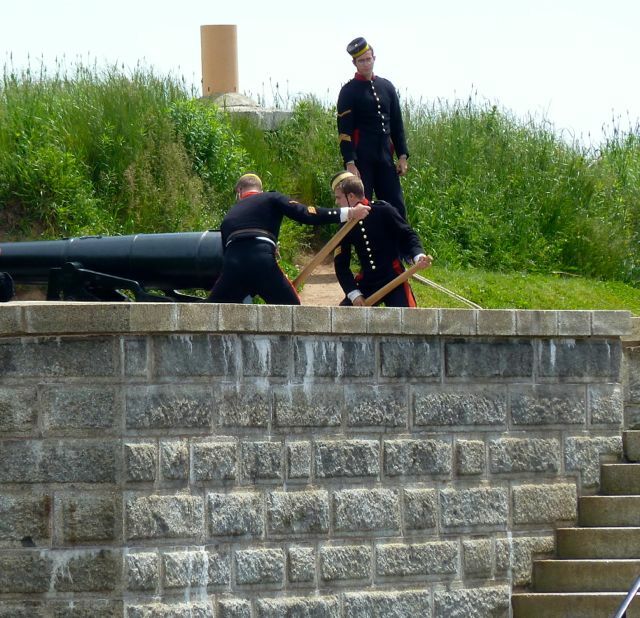 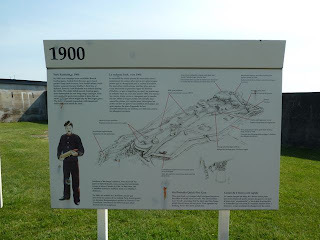 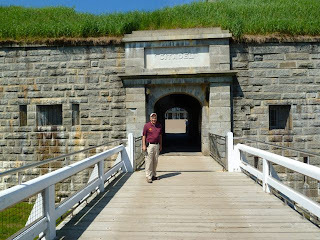 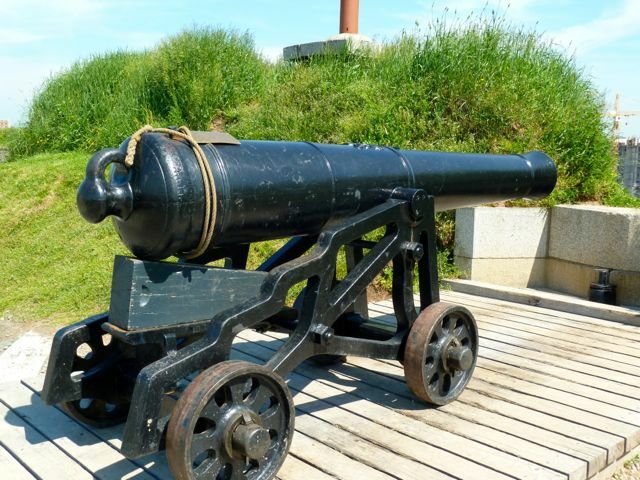 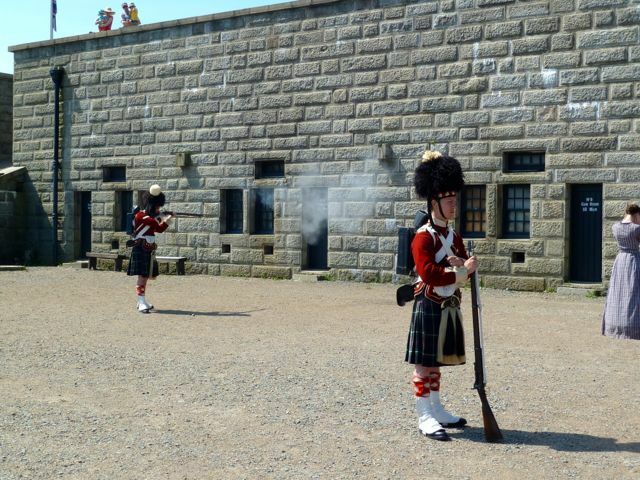 The Redoubt was built in 1793 at the outbreak of war between Britain and France on a bluff overlooking the Halifax Harbor and a key element in the defense of Halifax. 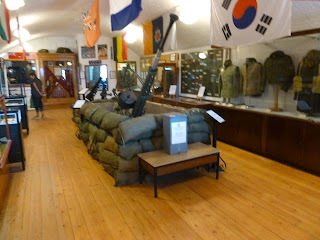 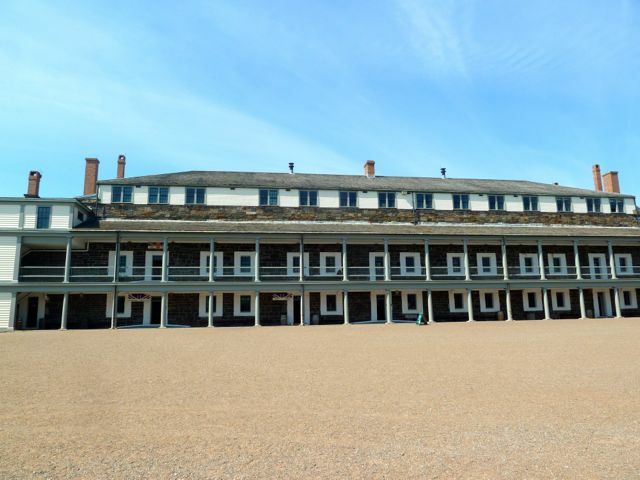 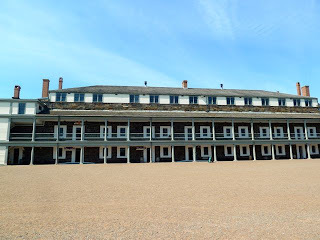 During WW I it served as housing for soldiers being deployed overseas. 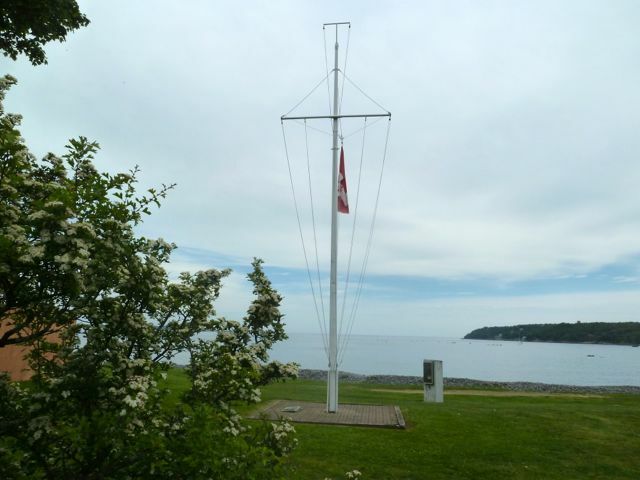 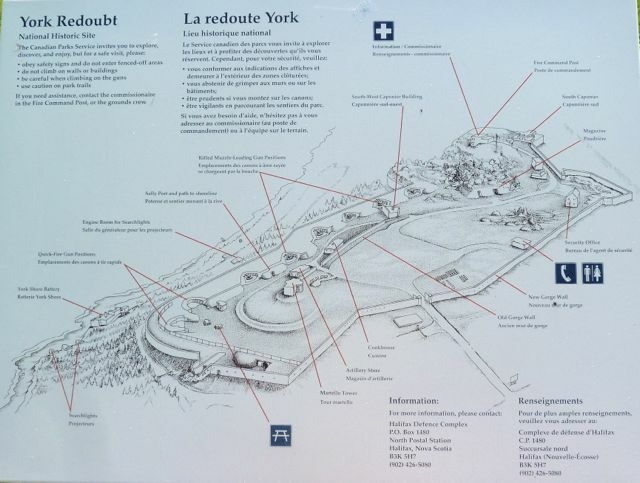 During the 19th century the York Redoubt and the Citadel used signal flags to keep each other informed of ship's movements in the harbor. 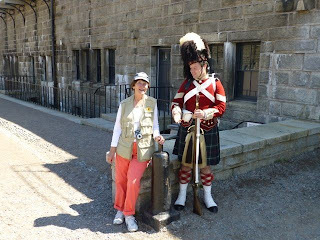 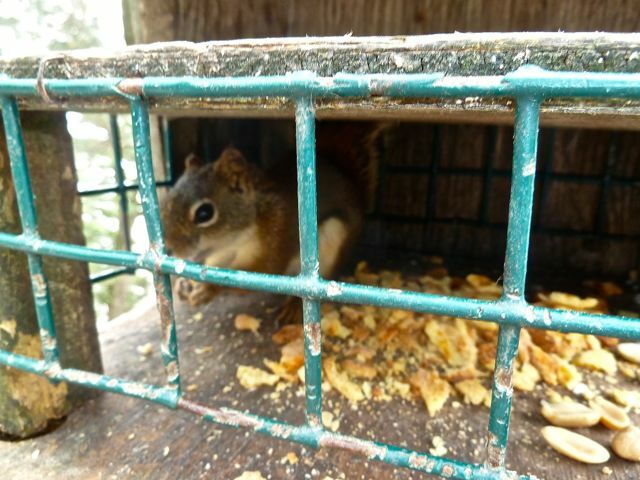 Today it is operated by Canadian Parks service. 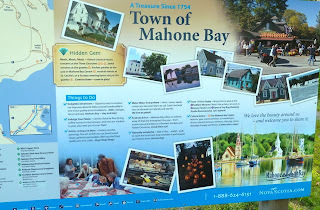 Even though it had not opened for the season, you could still walk around. It officially opens on the 26th. During WWII a fire command post was built which served as the nerve center including an anti submarine net which stretched across to McNabs Island.